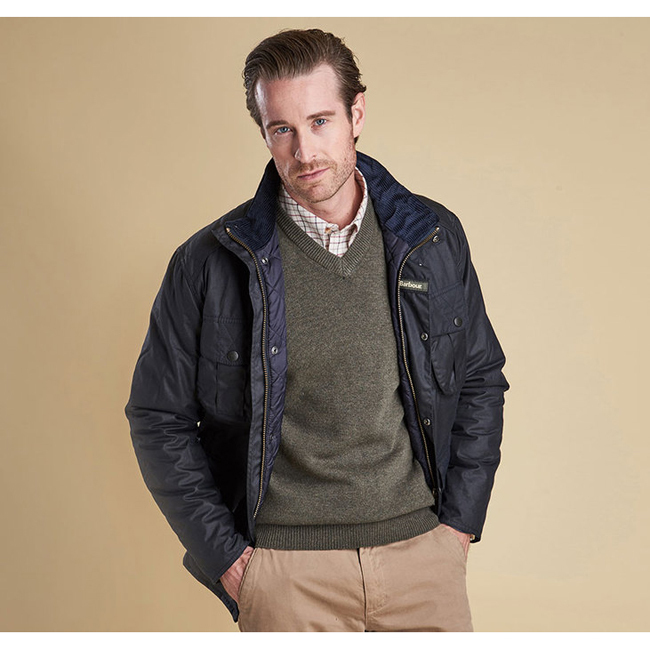 This robust men’s wax jacket is made with a mediumweight waxed cotton outer and an insulating quilted lining, offering superb protection from the elements. Its two-way zip and stud-close storm fly keep driving wind and rain at bay, fastening through to a high funnel collar that’s lined in corduroy for a super-soft feel against the skin. Quilted shoulder patches enhance durability and add a touch of textural contrast, while four utility-style outer pockets provide plenty of space to keep essential items close by.